Finally, summer is gone, my winterizing chores are done and I get to build something. First up, I'm going to be building a Roubo Split Top Bench from the BenchCrafted plans via The Woodwhisperer Guild winter build. I have some phenomenal hardware on the way, also from BenchCrafted. Today, I went over to the warehouse and brought home some very old friends. These old joists and timber frame members were bought over 15 years ago from a guy that had already been storing them for about twenty years. 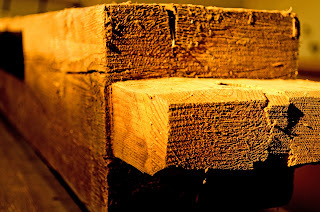 They were taken during a deconstruction of a 100 plus year old barn in eastern Oregon. I'm thinking they might be dry enough to work already. As you can see, old growth red fir has some very tight growth rings! I can't wait to clean these ladies up!! Stay tuned for updates!! THIS is gonna be fun! Now that is some incredibly cool stock. I can't wait to see it come back to life as a great bench. I sense a great excitement in the universe. I will enjoy building along with you, Vic. Awesome post. That's exciting Vic. I am very curious about the stability of the old beams and how they clean up. Very cool Vic, I love looking at these reclaimed timbers. We just bought several old barns and are having the timber shipped down to the yard in the next few weeks. 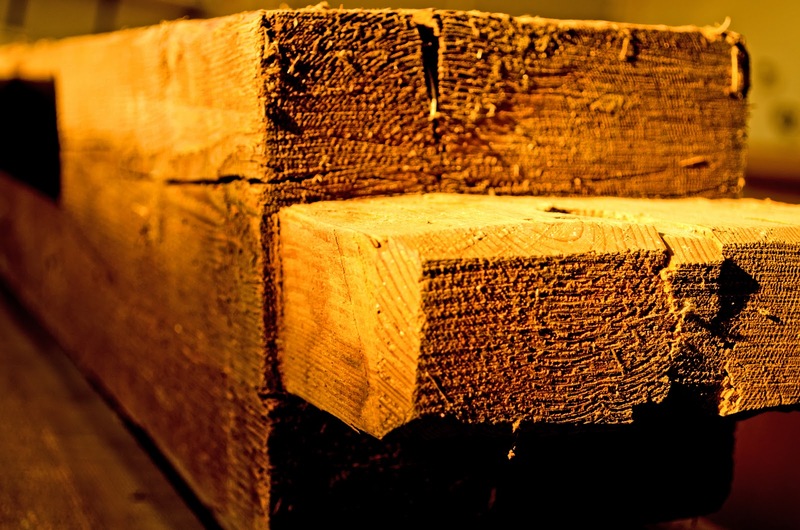 Do you have any more provenance on the beams? Where did they come from? Great looking stuff Vic! Can't wait to follow along with this build. 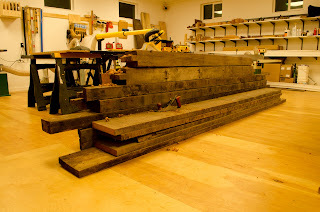 I'd love to find some old timbers and build another bench. To all, thanks for the comments. Always nice to know someone is reading this. Shannon and Light Hearted, I think the stability should be great, as the barn existed in the desert of eastern Oregon. Unfortunately, that's the only information I have and the condition of the timbers bear that out. Good to see you back in the shop Vic. Can't wait to see the progress as you build your bench. Thanks, Eric. I'm extremely happy to be back in the shop, too. I got almost 5 boards ready for rough dimensioning last night. I need to wear my respirator. Dusty work!